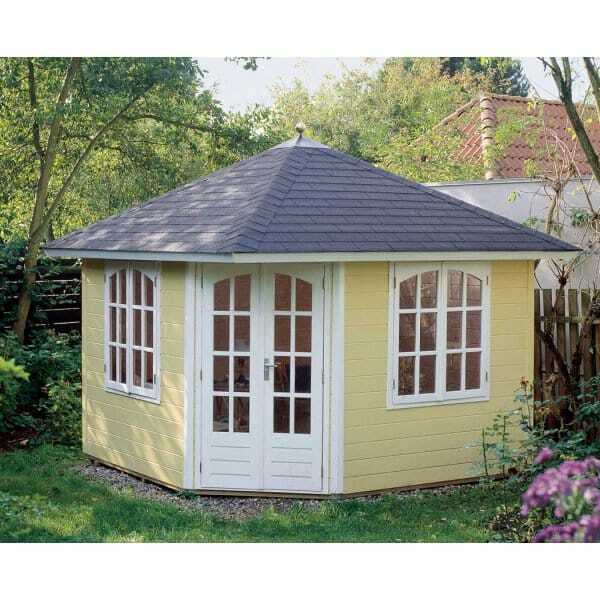 Lugarde Prima Fifth Avenue ORIGINAL 300cm x 300cm Original: The Lugarde Prima 5th Avenue Summer House Original is a stunning summer house that is pentagonal in shape which takes up less room in the garden and is ideal for a corner space. The Lugarde Fifth Avenue Original has two casement windows and a double door, the summerhouse is available in two wall thickness's 28mm or 44mm and is also available with a flat roof option. This is a high quality, versatile and stylish garden building which will give many years of enjoyment.